Take the test and learn more about your situation. There are several different types of rheumatic diseases. Rheumatoid arthritis is an inflammatory disease of the joints that often starts with swelling or pain and stiffness in the joints, most often in the small joints of the hands and feet. The inflammation can cause damage that leads to deteriorating function of the joint. Other diseases that cause inflammation in the joints are psoriatic arthritis and inflammatory back pain. About 1% of Sweden’s population has rheumatoid arthritis, and around 0.5% have inflammatory back pain. A much more common joint problem is osteoarthritis which often occurs in the joints of the fingers or knee and hip joints. If you would like to find out more about rheumatoid arthritis, inflammatory back pain, or other rheumatic diseases you can visit 1177.se or call the County Council’s Medical Advice Line line at 1177. This test has been developed by specialists in rheumatology and general medicine, in collaboration with patients with rheumatic diseases. The purpose of this test is to help you determine if the symptoms you are experiencing in your joints match those of a rheumatic disease. The test is not intended to serve as a diagnosis, but rather to provide you with valuable information around your symptoms to prepare you for a potential visit to your doctor. To get a proper diagnosis, you should see your doctor for an examination. After taking this test, you can share this print-out with your results in order to facilitate the consultation with your doctor. reumatiskt.se/ontilederna has been developed by Stockholm County Council and Karolinska Institutet, in partnership with patients and healthcare professionals in primary care. This test will take about 5 minutes to complete. Please answer the questions as best you can. If none of the options describe your symptoms you can select I don’t know or None of the above. If you want to understand a question more in-depth, or if you do not understand a question, please click More information. Select the options that describe your symptoms. Select the options that describe your symptoms. The selected options will be highlighted in green. To cancel a selection, click on it again. When you are satisfied with your selections, click Next. If you are not experiencing any of these symptom, select None of the above. With rheumatoid arthritis and inflammatory back pain, it is common to experience several of these symptoms simultaneously, so it is important to understand whether you have one or more of the symptoms listed in this question. How quickly did you experience the onset of your symptoms? Select the option that best describes the onset of your symptoms. The selected option will be highlighted in green. If you don’t know, choose Don’t know. 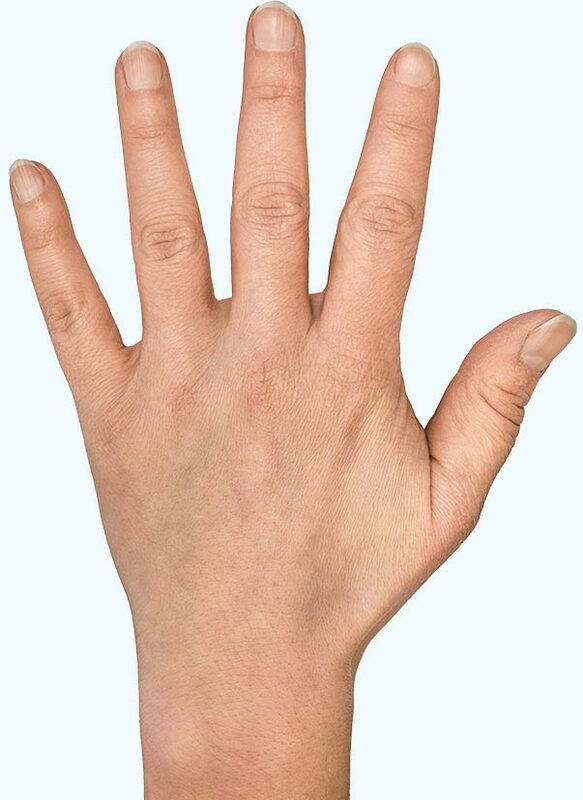 With inflammatory rheumatic diseases, the symptoms often appear gradually. It is therefore important to understand how quickly you experienced the onset of your symptoms. Are you experiencing discomfort in your back or neck? With inflammatory back pain and other similar rheumatic diseases, discomfort occurs in the back or neck. Sudden back or neck discomfort is usually not caused by rheumatic disease, but is a symptom relating to the muscles around the spine. Select the areas of the back or neck where are experiencing discomfort. You can select more than one area. Select the areas of the back and neck where you are experiencing discomfort. The selected areas will be highlighted in green. To cancel a selection, click on it again. When you are satisfied with your selections, click Next. If you are not experiencing discomfort anywhere in your back or neck, choose None of the above. Some parts of the back are strongly associated with rheumatic disease. Have you had any pain in your buttocks that switches between the right and left side? Pain that switches between buttocks is a symptom of inflammatory back pain. There can also be other causes of pain at the base of the back, towards the buttocks. Select any other areas of the body where you are experiencing symptoms. Select the areas of the body where you are experiencing discomfort. The selected areas will be highlighted in green. To cancel a selection, click on it again. When you are satisfied with your selections, click Next. If you are not experiencing discomfort in these parts of the body, choose None of the above. Some parts of the body are more strongly connected to rheumatic diseases. If you have selected hands or feet, you will be asked additional questions to identify the specific joints where you are experiencing discomfort. Because you have stated that you are not experiencing any symptoms, the test session has been cancelled. To start the test again click here. It appears that your symptoms relate primarily to your back. We recommend that you take the test called "Back Pain?" instead of this test. Go to the test Back pain? Select the areas on your left hand where you are experiencing discomfort. Select the joints where you are experiencing discomfort. The selected areas will be highlighted in green. To cancel a selection, click on it again. When you are satisfied with what you have selected, click Next. If you are not experiencing discomfort in any of these joints, choose None of the above. Different joint diseases tend to produce discomfort in different joints. Therefore, it is important to identify the specific joints in which you are experiencing discomfort. Select the areas on your right hand where you are experiencing discomfort. 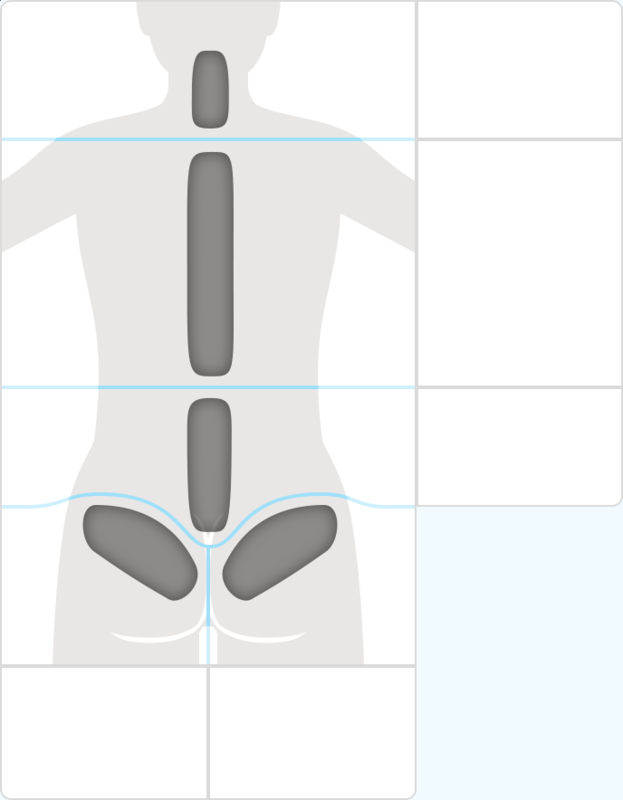 Select the joints where you are experiencing discomfort. The selected areas will be highlighted in green. To cancel a selection, click on it again. When you are satisfied with your selections, click Next. If you are not experiencing discomfort in any of these joints, choose None of the above. 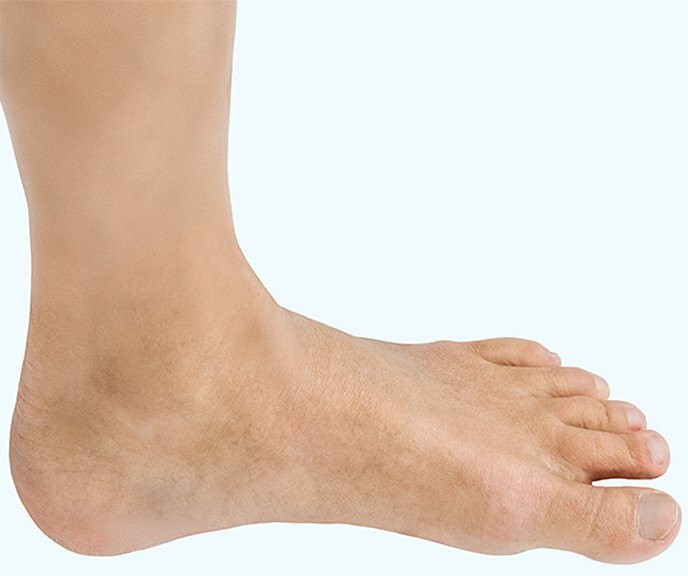 Select the areas on your left foot where you are experiencing discomfort. Different joint diseases tend to produce symptoms in different joints. Therefore, it is important to identify the specific joints in which you are experiencing symptoms. Select the areas on your right foot where you are experiencing discomfort. Select the joints where you are experiencing discomfort. The selected areas will be highlighted in green. To cancel a selection, click on it again. When you are satisfied with your selections, click Next. If you are not experiencing discomfort in any of these joints, select None of the above. Different joint diseases tend to produce symptoms in different joints. Therefore, it is important to identify the specific joints in which you are experiencing discomfort. Think of the part of the body where you first started to experience symptoms. Drag the handle to select the appropriate time period. If your symptoms first appeared between two time period options, select the longer time period of the two. It is important to understand how long you have been experiencing symptoms in order to determine if those symptoms could be the result of a rheumatic disease. This is taken into consideration together with where your symtoms are occurring and the specific symptoms you are experiencing. How much pain have you had in the past week? Don't worry about giving an exact answer, simply estimate as best as you can. Drag the handle along the scale to the point that you feel best represents the level of pain you have experienced. The expression on the pain figure corresponds to a value from 0, which means no pain, to 100, which means worst pain imaginable. Pain is difficult to describe and perception of pain is very personal. It can still be important for your healthcare provider to get a picture of the pain you are experiencing. What alleviates the pain in your back or neck? Select the options that describe what alleviates the pain in your back or neck. To cancel a selection, click on it again. When you are satisfied with your selections, click Next. If none of the options apply to you, choose None of the above. The fact that the pain is alleviated by movement, but not by rest, is a common sign of inflammatory back pain. The inflammation, and thus also the pain, can be alleviated with non-steroidal anti-inflammatory drugs (NSAIDs). Examples of this medication include Ibuprofen, Naproxen, Diklofenak and Nabumeton. Does your back pain wake you up at night? A common symptom of inflammatory back pain is waking up in the night due to back pain. Think about your everyday life and whether or not you have difficulty doing any of the actions listed here. Click on an option to select it. To cancel a selection, click on it again. When you are satidfied with what you have selected, click Next. If none of the options apply to you, choose None of the above. 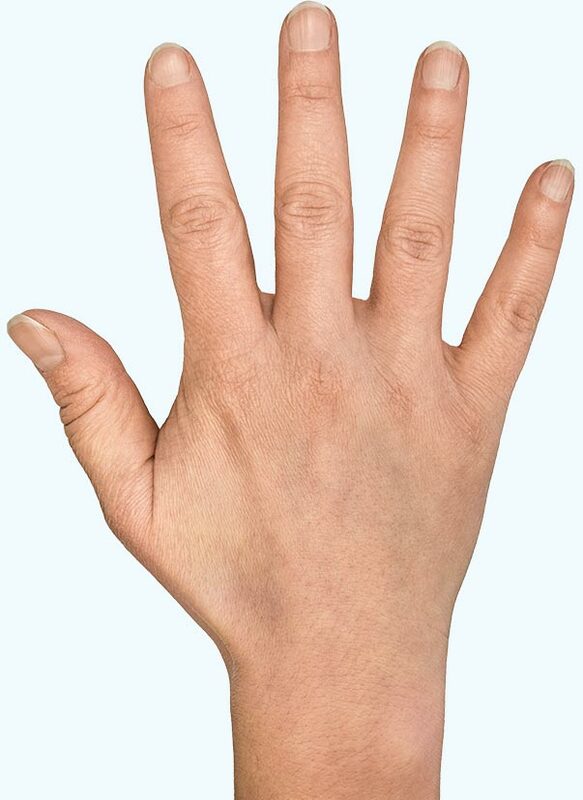 With inflammatory rheumatic diseases the fingers can become stiff, swollen and weak, which can make it difficult to do some of the actions listed. You might also feel pain in the front part of your feet, since the toe joints can be affected in the same way as the fingers. Pain in the back can also make it difficult to do some of the these actions. Do you find it difficult to walk barefoot indoors because it hurts? With rheumatoid arthritis or other rheumatic joint diseases, you can feel so much pain in your feet that walking without shoes can be difficult. This is due to inflammation in the front parts of the feet. Does your body feel stiff when you wake up in the morning? Most people who experience stiffness in the morning describe it as a tension or tightness in the body’s muscles and joints. This stiffness can reduce mobility and cause aches and pain. It often gets better when muscles and joints have been moving for a while. Think about how it feels when you wake up in the morning. Prolonged morning stiffness can be a sign of a rheumatic disease. Stiffness in the body that lasts a long time after waking up is a common symptom of rheumatic inflammation. Approximately how long does the stiffness last? Do you have, or have you had, any of the following inflammatory diseases? If you have ever had any of the listed inflammatory diseases, please select them. Click on an option to select it. To cancel a selection, click on it again. When you are satisfied with your selections, click Next. If you have never had any of these diseases, choose None of the above. If you have ever had any of these inflammatory diseases and you now have discomfort in your joints, or in your back and neck, this may be a sign that the discomfort in your joints or back are due to an inflammatory rheumatic disease. Psoriasis is a skin disease. Iritis and acute uveitis are an inflammation in the eye. Examples of inflammatory bowel disease include Crohn’s disease and ulcerative colitis. Have any of your parents or siblings ever had a rheumatic disease? Rheumatic diseases have a hereditary component. This does not mean you have the disease, but the risk is higher if a parent or sibling has ever had a rheumatic disease. Has he or she been treated by a rheumatologist? Note that taking snus does not count as smoking in this case. Select the option that best matches your smoking habits. Even if you only smoke occasionally, you should still choose Yes, I smoke. Smoking can affect the risk of rheumatoid arthritis or worsen the prognosis for other possible health issues. Select the option that best matches the age when your symptoms began. If you don’t know, choose Don’t know. Rheumatoid arthritis can begin at any age, but inflammatory rheumatic disease in the back often begins before the age of 45. How did you find out about this test? You have now reached the end of the test! Please click SHOW RESULTS if you are satisfied with your responses and would like to see your results.